"The series will follow the search for a famous television host, a popular explorer/wildlife expert who was last seen traveling down the Amazon River in the middle of South America and disappeared without a trace. Six months later, his wife and son receive a beacon signal from him, indicating that he might be alive. 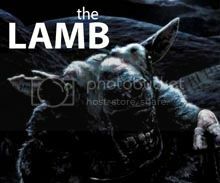 This prompts the two to assemble a television documentary crew to follow his last known whereabouts, unaware that once they reach the location of where he was last seen that they're in for a horrific surprise." I'm really hoping for more horror than Lost style mystery, but I got whiffs of both from the trailer (whatever that ghost/monster is should look familiar to Lost fans). While I've got nothing against Lost, it just seems like we've gotten a slew of copycat shows recently that were merely trying to cash in on it. I'm thinking of sci-fi shows with a big overarching story or mystery, stuff like Flash Forward and The Event (both of those were canceled, by the way). I’ve watched Syfy’s Ghost Hunters quite a bit, and I can’t tell you how many times I’ve thought that a completely fictional version would be an awesome and creepy show to watch every week. The home video/found footage style, which The River seems to utilize, has the potential to be nerve-wracking. Bruce Greenwood of Meek's Cutoff and the newest Star Trek as the explorer should be cool, but I wonder how much of him we’ll see. Spielberg’s involvement is almost always a good thing, and hopefully Oren Peli’s influence will provide the level of creepiness I’m wishing for. When I first heard of the show and little of the plot was known, other than it was about a man that gets lost exploring a river, I was picturing something more like a spooky river in the American backwoods. But I guess the Amazon will do. 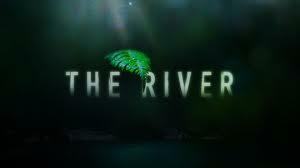 The River will premier on ABC in the 2011-2012 mid season, which I guess means sometime between January and May. I can see myself getting really excited for it. Learn more over at the show's official site.